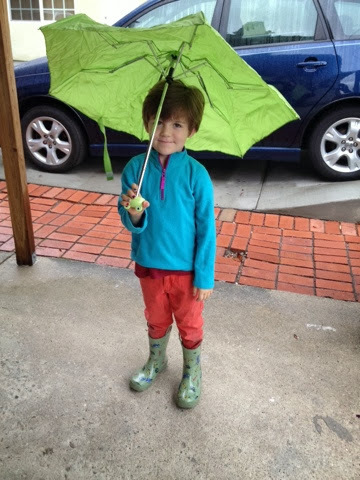 Porter dressed himself today almost entirely in Matilda's clothes and they all fit fine. The pants were hers from last winter, but still, he's not very far behind her size! The rain boots actually caused a massive battle later in the day. She returned home from school and wanted to wear them but Porter was not yet ready to relinquish custody. The bottom line problem is that we have two kids but only one functional pair of rain boots in this house currently.